Lone Shark Games introduced The Ninth World: A Skillbuilding Game for Numenera to Kickstarter last week, and having nearly reached its goal, we can safely say it will be embraced by fans. 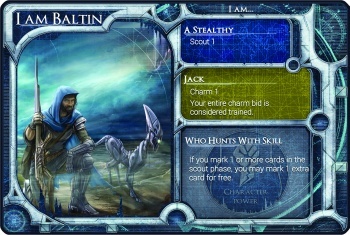 But at The Escapist offices, it raised a question: What the heck is a skillbuilding card game? 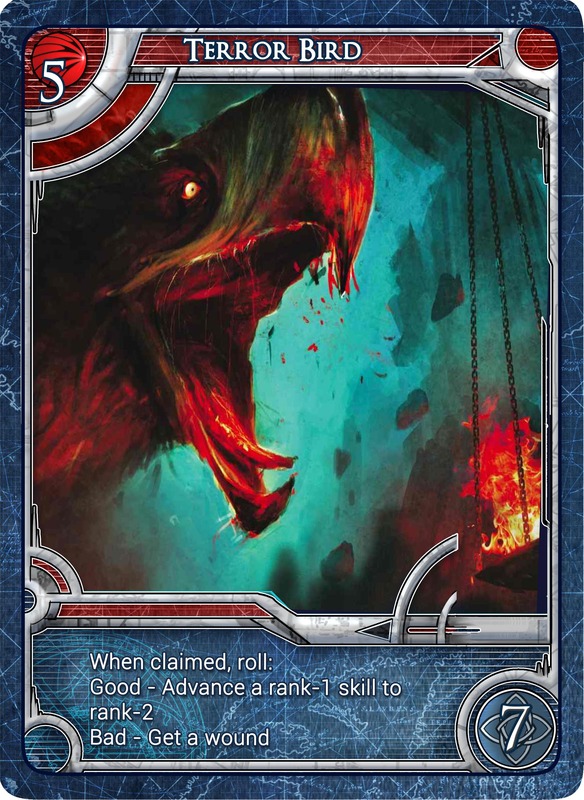 We've got deckbuilding games, and Lone Shark already pioneered the adventure card game with Pathfinder and Apocrypha, so what exactly goes into skillbuilding cards? 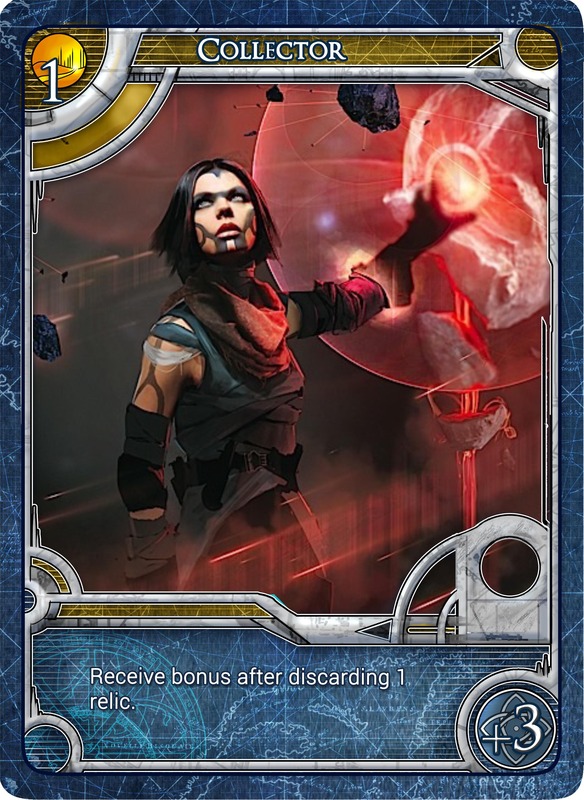 After chatting with Lone Shark's Mike Selinker and playing Ninth World's print-and-play edition this weekend, I can say two things: Skillbuilding is a fun new genre, and a perfect fit for a Numenera card game. "The general concept of a skillbuilding game is instead of trying to build an engine of cards that you discard and hope you get back at the right time for that right combination ... screw that nonsense. We put the cards in your hands to start. Let's say you're only going to get five cards and you're going to do your best to upgrade those cards over time and use them the whole game." The Ninth World takes places in Monte Cook Games' Numenera setting, a billion years in Earth's future after several advanced civilizations have come and gone. Its players are the jacks, glaives, and nanos who explore ruins, fight monsters, and collect valuable artifacts from ages past. 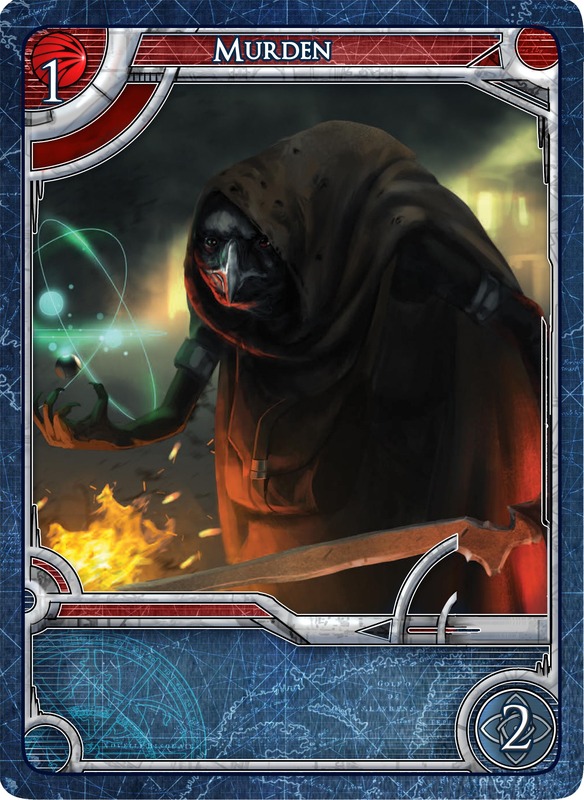 But unlike Numenera, where players worked together to achieve their goals, The Ninth World challenges them to prove which hero is the best and most widely renowned. To do so, characters must journey into Numenera's outskirts, accomplish daring tasks, and return home with the biggest haul of victory points. 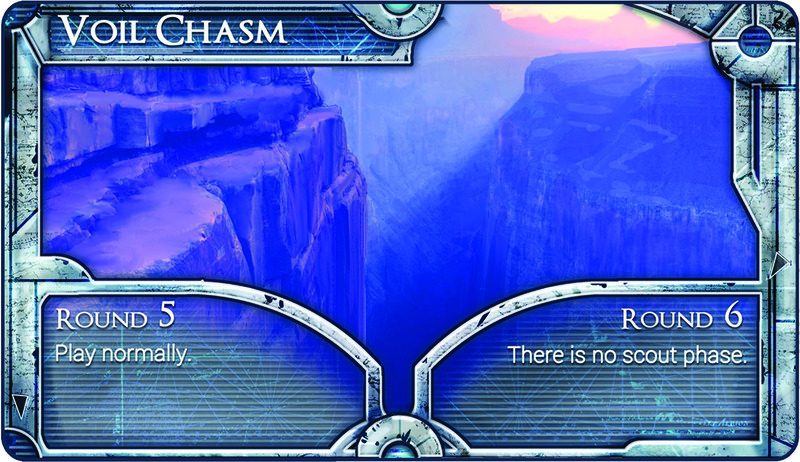 While playing Ninth World many cards will be displayed before you. 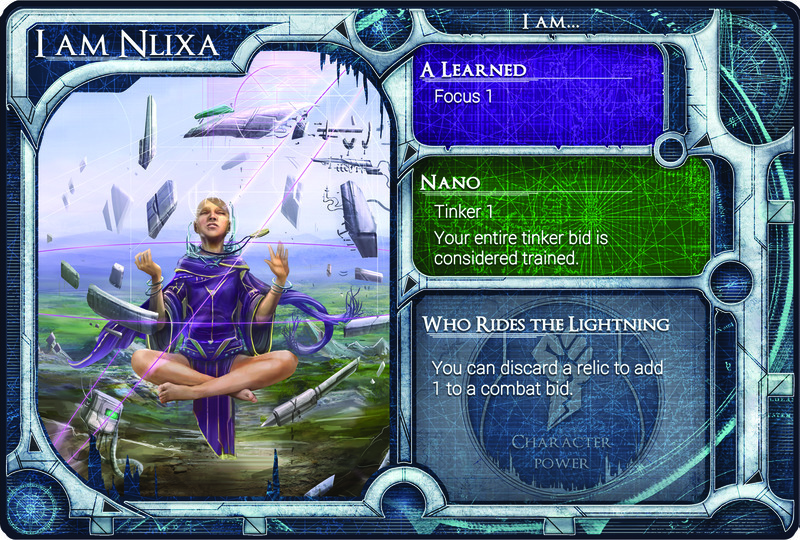 You'll have your hero card, which like Numenera includes a descriptor, type, and focus (renamed character power) that determines your starting skills. 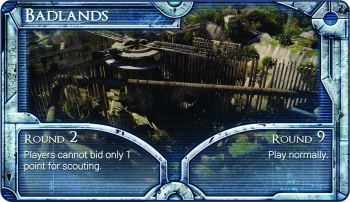 There will also be region cards determining your location, a Town deck with initial encounters, and a Wilderness deck that must be scouted and claimed by players. 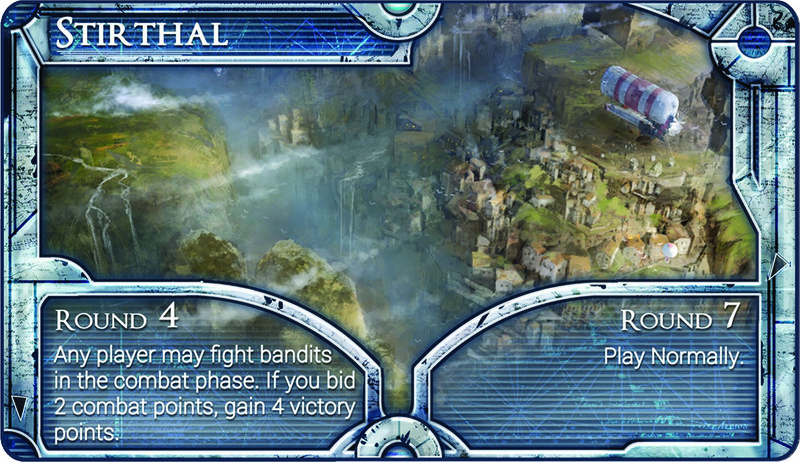 But Ninth World's core gameplay revolves around five skill cards. As the game progresses, you can upgrade these cards in any combination you choose, making yourself a capable scout, a powerful monster hunter, or an expert relic collector. Since you're always developing a core hand, The Ninth World's play space can change dramatically while still offering opportunities for players. "It just opened an incredible amount of freedom for what happened on the board," Selinker explained. "All of a sudden [cards] could just pop in and out, be bought, be discarded, whatever, because they weren't really something you had to think of as your deck to manage. We democratized the deck and put it all over the board doing all sorts of things. 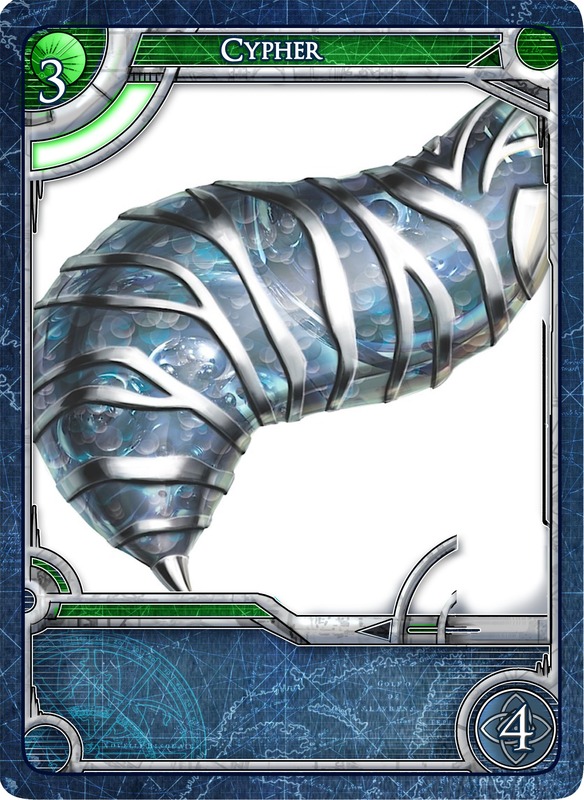 So a skillbuilding game is literally, you get cards and you make them better." 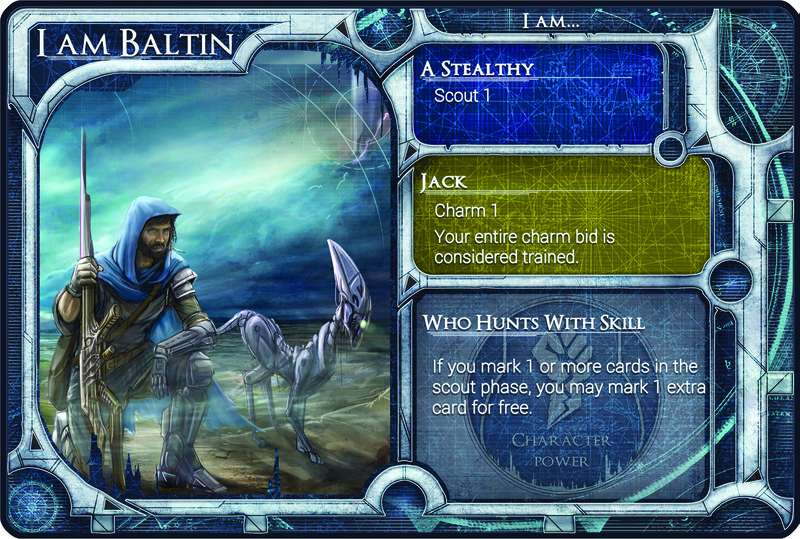 During each round, the group visits Numenera locations where they spend skill cards across five phases: Scout, Tinker, Charm, Combat, and Focus. These phases and skills reflect each other - spending Tinker cards during the Tinker phase give you more points than Focus skills in the Tinker phase. The player who bids the highest number of points will get first pick of the relics, creatures, and NPC quests assembled on the table. But since you only have five skill cards, you have to be selective about your goals for the round. 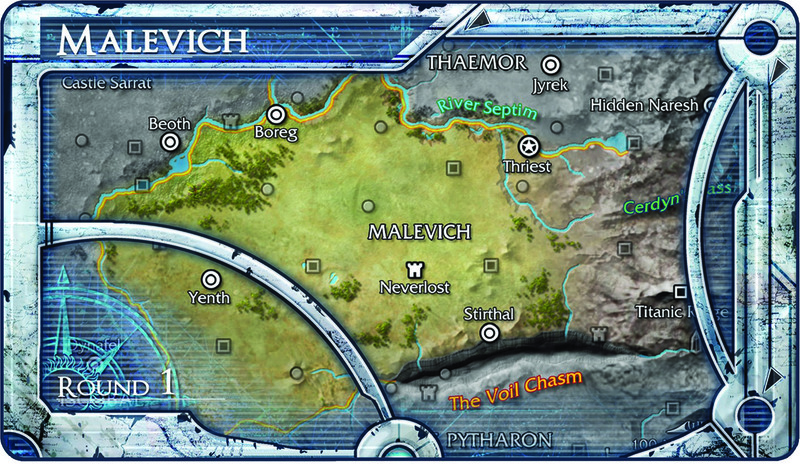 Will you try to claim a faction card or take that lucrative relic? If you scout more locations, can you still fight the creatures currently in play? 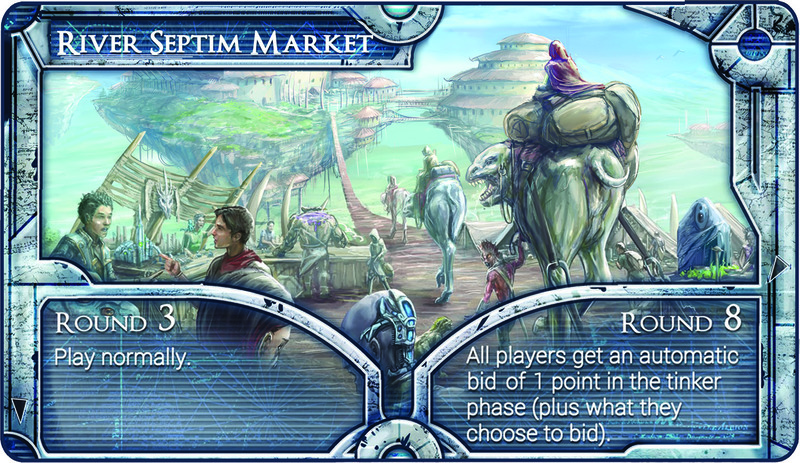 Ninth World's skillbuilding mechanic is what ensures you'll have more options as the game proceeds. 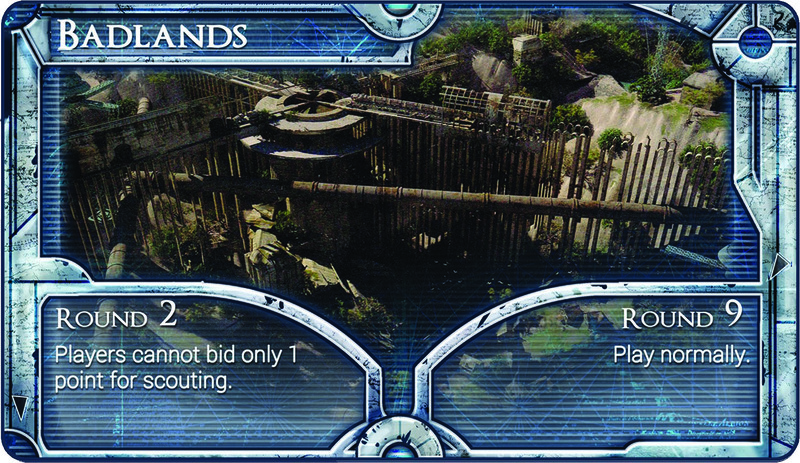 During the focus phase, players spend skill cards on upgrades that make your entire hand more powerful. You could turn a Charm-2 card into a Charm-3, or transform a neutral Effort card into a Combat skill. 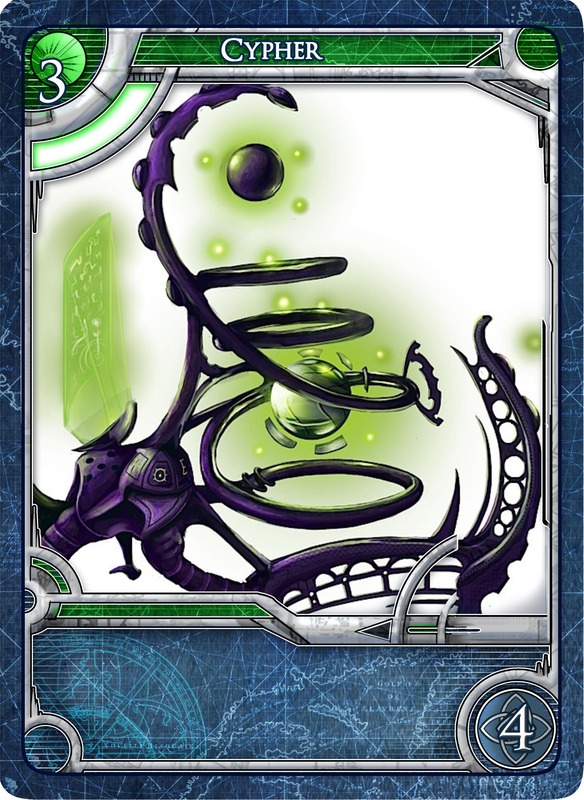 You can upgrade your cards to reflect a wide range of abilities, or narrow your focus to one or two which support specific fields. It's a fairly simple upgrade mechanic, but it opens a huge range of gameplay possibilities. Players who train themselves to charm quest-giving NPCs can be just as successful as those who hunt down deadly creatures. If your rival snatches a relic you were already scouting, you can redirect those points to new goals in a later phase while still earning victory points. And if you're falling behind, you can wait a full round and bid everything in focus, quickly turning your hero into a force to be reckoned with. The Ninth World excels at being competitive without limiting your player's options - even if you're losing, you'll taking on so many exciting tasks that you still feel like you accomplished something. "It's a very light competitive game in the sense that you're never fighting each other," Selinker said. He compares the experience to Halloween Trick-or-Treating, where everybody collects their own candy but the 'winner' is the child with the biggest haul. "[You're] a band of explorers that heads out together and tries to come up with the best prizes ... Not all games that are competitive have to be about punching each other in the face. This one is about being bold and adventuring and exploring, it just gives you a score at the end. Being the person who comes back with the biggest monster pelt is awesome." While I already had a great time with the print-and-play edition, Lone Shark Games has plans to make The Ninth World even bigger. Selinker and the developers are already developing a unique character roster and adding new power decks that customize gameplay in exciting ways. Numenera fans can also expect to be excited about new regions lifted directly from the popular RPG. "We haven't even scratched the surface of it," Selinker said. "If we get going, we'd love to do a set of the Beyond where you're up in the Cloudcrystal Skyfields, or the Red Kingdom, or any of these crazy places they've written ... It allows for this incredible sandbox to play in." All told, that means Numenera fans and card game players alike should have an exciting new game to look forward to. 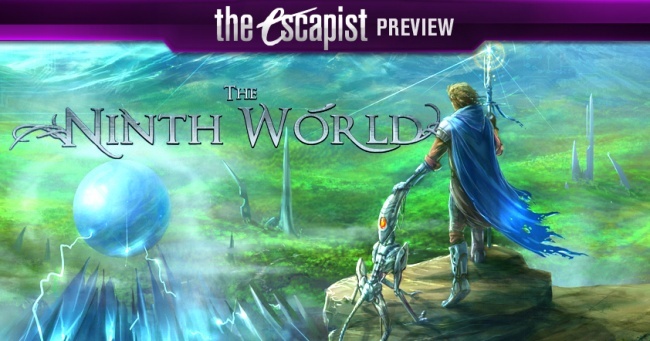 The Ninth World's Kickstarter campaign runs for another 25 days, with the finished game expected to launch in Oct. 2016.